Plan 2811 on home site 8 and Plan 3120 on home site 10 will be released this Friday, February 16th at Hilltop Heights in Bothell. Both homes offer 5 bedrooms and 2.75 baths with well-appointed living spaces and impressive contemporary finishes throughout. 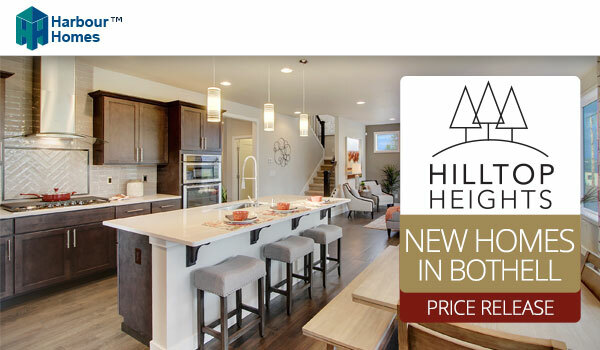 Hilltop Heights features a community park, fantastic Bothell location and is served by award-winning Northshore schools. Don't forget to check Harbourhomes.com this Friday!